Chennaiyin were 1-0 down at the end of the second half but scored four second half goals at the Balewadi Stadium. 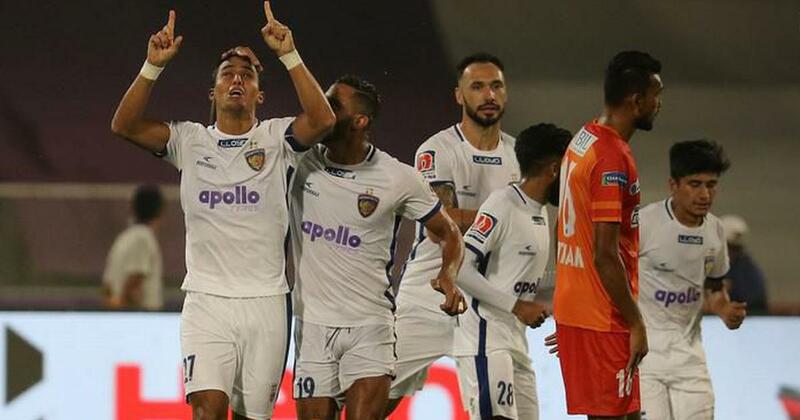 Defending champions Chennaiyin FC tasted victory for the first time this season with a 4-2 victory against FC Pune City in their Indian Super League clash at the Shree Shiv Chhatrapati Sports Complex Stadium, Pune, on Tuesday. Ashique Kuruniyan’s early goal in the ninth minute gave Pune the lead but a strong second half from Chennaiyin allowed John Gregory’s men to seal three points. Mailson Alves equalised with a header in the 53rd minute and Gregory Nelson completed the comeback two minutes later. Inigo Calderon and Thoi Singh helped the visitors increase their lead and Jonathan Vila’s late goal was nothing more than a consolation. Brazilian striker Marcelinho was given his marching orders after a dangerous tackle on Germanpreet Singh as Pune ended the game with ten men to compound interim coach Pradyum Reddy’s woes since another striker, Diego Carlos, also remains suspended for another red card against FC Goa. A tentative start by the defending champions was punished by Pune City less than ten minutes into the match. A cross-field diagonal ball by Robin Singh allowed Kuruniyan to race past Inigo Calderon on the left flank and beat Karanjit Singh from a tight angle inside the box. John Gregory’s men had the lion’s share of the ball but struggled to create clear-cut chances with it. The visitors were content to use the turnovers to good effect whenever they sensed an opportunity from their own half. Chennaiyin came out of their blocks quickly after the restart and scored the equaliser in the 53rd minute. Martin Diaz fouled Anirudh Thapa outside the box and the young midfielder picked out Mailson Alves at the far post from the resulting free-kick. The skipper’s looping header hit the back of the net, leaving the goalkeeper with no chance. Chennaiyin doubled their lead in the 69th minute from Thapa’s corner-kick. 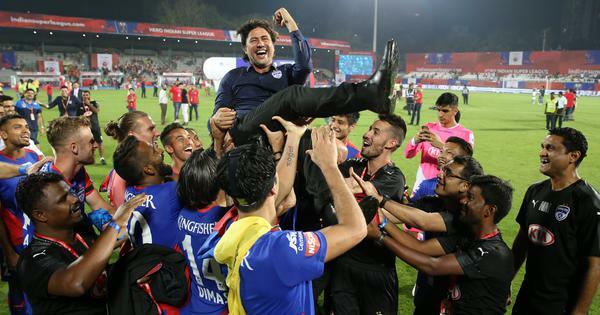 Pune’s defence failed to tackle the delivery from the corner and Raphael Augusto managed to push the ball into the path of Calderon who tapped the ball into the net. Pune grabbed a consolation goal in the 90th minute when Jonathan Vila rose the highest at the near post to head in Marcelinho’s well-taken corner kick. Marcelinho, however, jumped into a dangerous tackle to steal the ball off Germanpreet Singh with just seconds left on the clock and the forward was punished with a straight red card.